Necessity, they say, is the mother of invention. When artist, John Nava, won the commission to produce the enormous Communion of Saints cycle for the Cathedral of Our Lady of the Angels, he knew that he had to think big. After acoustic considerations forced the artist to think in terms of woven tapestries, Nava began searching for a way to convert the realism of his painted portraits into textiles large enough for the Cathedral. Nava’s research led him to the jacquard weaving process, an early 19th century process invented by Joseph-Marie Jacquard which uses perforated cards to encode the design and control a special loom. The difficulty lay in how to produce the full spectrum of colors necessary for Nava’s realism in woven fabric. Weaving structures color in a manner similar to the process used by the pointillist, Georges Seurat. As seen on the right, the method exploits the human eye’s tendency to blend colors that are very close together. Using a Macintosh™ computer and Adobe Photoshop™, Nava and fellow artist, Donald Farnsworth, created a format for converting artwork created in traditional media into a digital template for a jacquard loom — a 21st century tapestry. 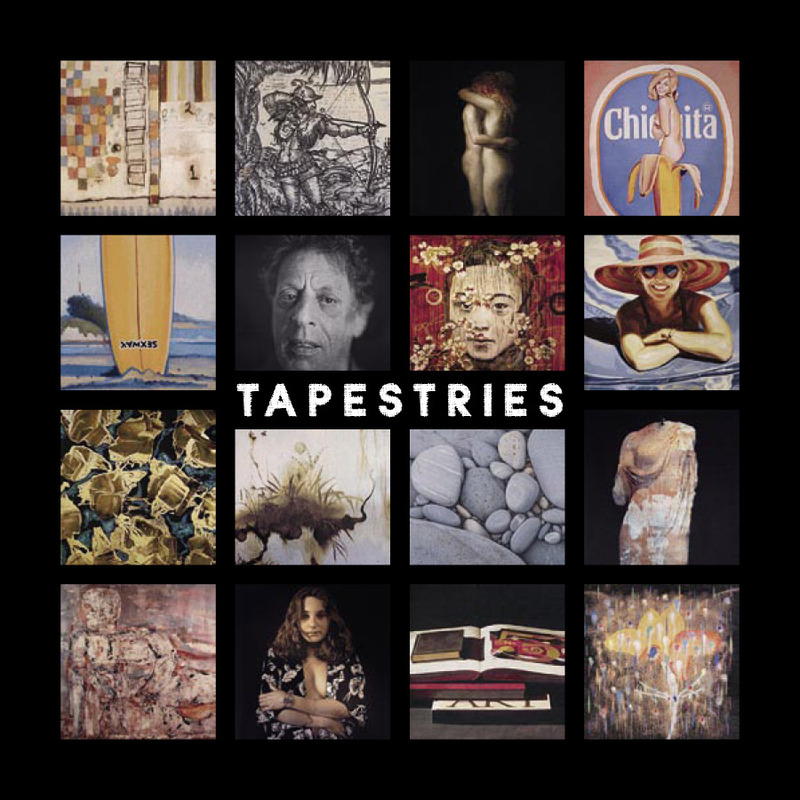 These innovations excited artists the world over, and the tapestry installation at the cathedral won national recognition. The process proved particularly apropos for artists like Chuck Close, whose works occasionally use the same pointillist color theories and scale to great effect. But, it was also attractive to artists like Bruce Conner, Squeak Carnwath, William Wiley and others whose works converse so fluently with issues of media and process. Other artists, like Ed Moses, found that the tapestries had a new depth of color and textural interest. And, the project continues to inspire today’s best artistic talents. Sullivan Goss considers Tapestries to be a landmark exhibition for the inauguration of its new gallery spaces, for textile arts, and for digital art. The gallery is very pleased to bring such a fine selection of the country’s leading contemporary artists to Santa Barbara for an exhibition that is pivotal both for the resuscitation of tapestries as a contemporary medium and for the successful integration of computer technology into the creation of fine art.